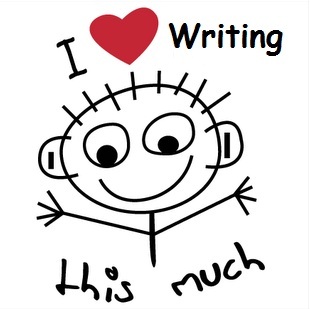 The words “I love writing” are ones I hear frequently from those wanting to explore careers involving writing. But writing about what and for whom? Are we talking about becoming a novelist, journalist, soap-opera scriptwriter, advertising copywriter, technical writer, instructional designer, blogger or something else? There are so many types of writing all of which require different writing approaches and talents. Consider how many different types of ‘communication’ you have read in the last month? Perhaps novels or books on academic subjects? Plus course outlines, curriculum outlines, worksheets, exam papers, seminar and PowerPoint notes, academic articles in journals. What about news articles on current affairs, fashion, and lifestyle, product instruction manuals and user guides, insurance policies and guarantees, contracts and legal opinions, company annual reports, policy guidelines, white papers, procedures manuals, training manuals, magazines and newsletters, job adverts and job descriptions, surveys, brochures, adverts and promotional material, product descriptions, schedules and programmes, profiles and biographies, webpages, blogs, emails…the list goes on. Even the humble bank statement with its limited opportunity for verbal expression, required someone to write the text. And while some writing forms may remain the same in both print and digital formats, reading from a computer screen and more recently from a tiny i-phone screen have led to a plethora of new conventions in writing style and content for web-based information. So if you want to be a writer, first become a critical reader. Look at what you’re reading every day but from a writer’s perspective. Appreciate the different writing skill-sets in the wide range of writing you’re exposed to. This may help you identify where your interest in writing fits, so that you can grow your own writing talents appropriately. Many writers become very versatile and are able to write for different purposes and it is also sensible to develop web and appropriate software skills. The following two sites have very useful material on the many different forms of writing and is suitable for both new and experienced writers. Happy reading.